I love making lists. This goes for listing off my favorite restaurants in the metro, my things to do, my wants and so on. Blame it on my OC nature but this habit just comes out naturally. To celebrate the end of 2007 and the coming of the new year, I will do another list. As I look back at the past months, I realized that this year has been a travelling year for me. I also realized that through these trips (be it personal or for work), I was able to bond more with Paul, my family and with my friends. This was my first out of town trip for the year. 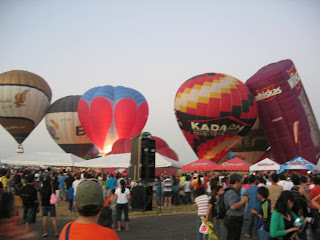 Paul and I watched the Hot Air Balloon exhibit at the Clark Aviation Field and I LOVED IT! Pampanga will always have a special spot in my heart as this is Paul's hometown. Every trip to this province is super fun! 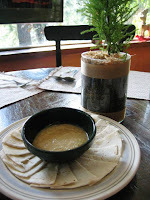 I will forever crave for authentic Pako (fern) salad, Aling Lucing's sisig and Perfect Loaf's breadsticks. We LOVE Tagaytay. This can be seen with the frequency of our visits to this perfect weekend getaway. This year, we had three overnight trips to Tagaytay and the best part is we always manage to try out a new place or encounter a new adventure each time. 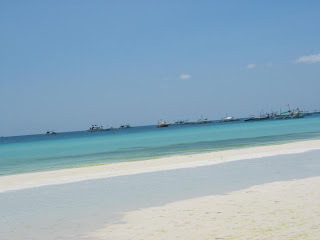 3) Boracay <-- the best trip of the year! It has been a while since I've travelled by air and it is also my first time to set foot on the wonderful island called BORACAY. Four fun-filled days spent with my colleagues is not enough as I began to miss Boracay the moment the plane landed in Manila. Boracay, we WILL be back. as the saying goes: "the magic lives on at Enchanted Kingdom". This place is truly a perfect venue for the young and the young-at-heart. 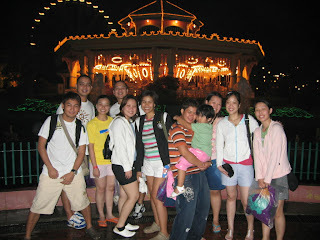 It was my 3rd trip back to EK after 4 long years. The verdict? I LOVEEEE Rio Grande Rapids! Yooohoo! Self-confessed travel bugs like myself will not stop at anything that will hinder us from travelling. Thus, I'm thankful that I grabbed the opportunity to join the first ever arts and culinary trip organized by the ICAAA last June. It was sooo fun getting to know fellow ICA graduates while visiting new places at the same time! My last out of town trip was spent in Baguio, the summer capital of the Philippines, and in my opinion is also the great Christmas destination as well. Ü Although it was a business trip, I had loads of fun meeting our partners from up north as we tried out yummy food places like PNKY and Cafe by the Ruins. Come 2008, my goal is to travel some more. This has served as my inspiration to work hard as I know that my ultimate reward would be another adventure out of town or hopefully out of the country. I thank God for giving me the chance to visit quite a handful of places this year and for the travel companions that I've had without whom my trips wouldn't be just as fun. i stumbled upon your nice blog. Re tagaytay, is that T House in the picture? did you stay there overnight? Okay ba? 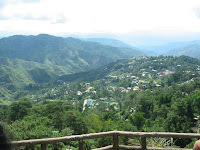 when i saw baguio in your 2007 travels, i immediately missed the place. hay Baguio. 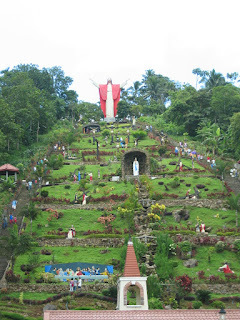 im hoping to visit Baguio this 2008.
happy new year to you too dyosa!! thanks so much for dropping by!